Suppose you’re watching the news and you hear there is a hurricane coming. To your horror, it’s aimed right at your town. Fortunately, the meteorologists were able to give you a few days notice, so you have time to make some preparations. 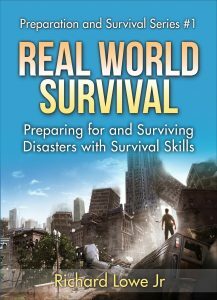 My book, Real World Survival, goes into this in more detail. Read your county or city website – Begin by finding the website for the county or city in which you live or where you are staying. This will have information about what to do in a hurricane that you need to know. In my county, the website has a page in which you enter your address to find out your evacuation zone. In my case, I discovered that my home does not need to evacuate in the instance of a hurricane. If you do find your home is in an evacuation zone, there is information on the routes and destination. It’s vital to know this information in advance so you are not floundering around if the worst happens. Check out your evacuation routes – From that same website, you should be able to find out your evacuation routes and the evacuation centers. It’s a good idea to take a drive on one or more of those routes so you are familiar with them if you need to leave in a hurry. Keep your eyes open for the locations of stores, gas stations and possible alternatives, such as side streets, that are available. Fill up your gas tank – it’s a good idea to always keep your gas tank at least three quarters full so you will never be stranded. However, as soon as you learn about a hurricane on the way, get in your car, drive to the gas station and fill your tank, then keep it full. Do not fill up any gas cans or other containers – these can catch fire and explode. Just make sure that the gas tanks on all your cars are filled. Verify your Go-Bag or Bug-Out-Bag – A go-bag is a duffel or similar bag which you fill with survival supplies. If you don’t have one, do it now. If you have made a go-bag, verify it’s contents. Look for out-of-date food, medications and so forth and replace them when you visit the store. Go to the store immediately – For both food and water, go to the store immediately. As the hurricane gets closer you’ll find the shelves empty and the lines longer. 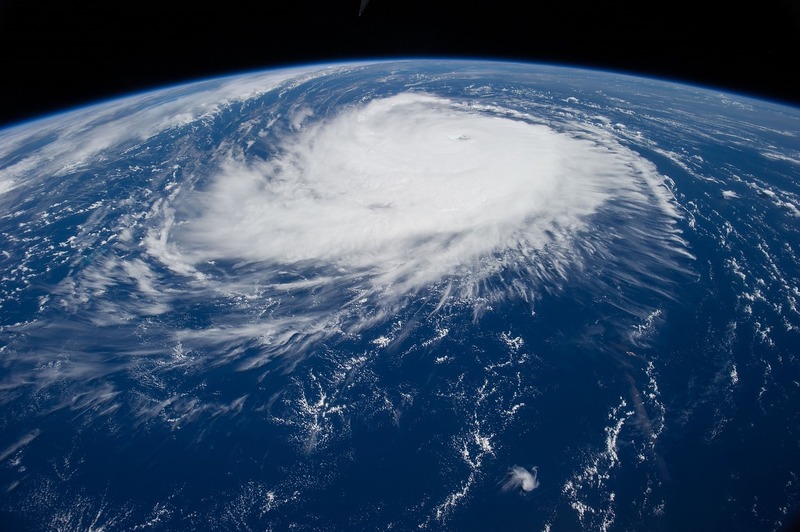 Once the hurricane hits, you either will be evacuated or you will be stuck at home, probably without electricity for several days or even weeks. Ensure you have water good for two weeks – Buy enough water, a couple of gallons per day per person at least, to last for two weeks. Do not store water bottles on concrete floors as the concrete chemicals can leech into the water. Ensure you have food for two weeks – Go to the store immediately and purchase enough canned and dried goods to last for two weeks for you and your family. Do not purchase refrigerated or frozen goods as these will spoil if the electricity fails. Purchase a large box of plastic trash can liners – If the sewer system stops working during the hurricane, the trash can liners can be placed into the toilet. After you do your business, seal the bag and put it in another one, which you also seal. This prevents a smelly experience if the toilet no longer works. Get $100 in small bills – Get $100 in twenty’s, five’s and one’s. The ATM’s may stop working and this will give you some money to spend. If you can, do the same for all adult famliy members. Ensure your children have a few five’s and one’s as well. Talk to your friends, neighbors and family – Ensure you work out a communication plan with your family, friends and loved ones. How will everyone know you are safe? Where do you all meet if you are separated. Be sure to spend extra time with any children so they understand what is happening and know what they can do to help. Ensure your medications are filled – Did you know you can go to the local pharmacy and get your prescription filled immediately, even if it is not yet time, if a disaster has been declared. Check your prescriptions. If any critical ones have less than 2 weeks, get a refill. You’ll have to tell your pharmacist, but they will know what you are talking about. Sometimes they have to work with your insurance company,but every time I’ve done it, they successfully worked it out – but it might longer than normal. When I’ve done this, I got the prescriptions started, then did my shopping, and when I was done the prescriptions were ready. Inspect your home – Take a look around your home. Clean up anything dangerous. Make sure any trash is removed. If trees are near your home, if you can, get them trimmed. These tasks are all relatively simple and easy to do. Of course, you may also want to board up your windows with plywood and take other precautions. Use your best judgement and be prepared. During the hurricane, be safe, remain in your home unless asked to evacuate (or your are in danger) and follow the directions of the authorities.